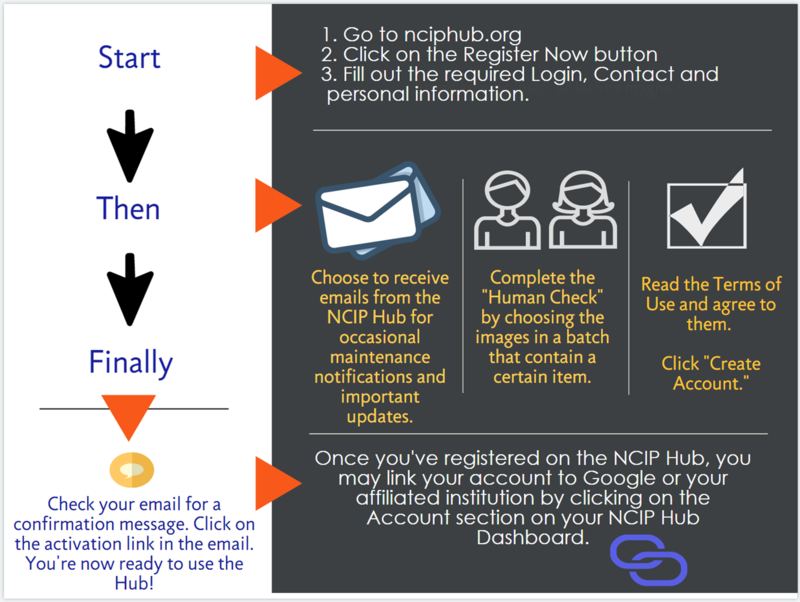 NCIP Hub is a "Collaboratory" for scientific research powered by…You! 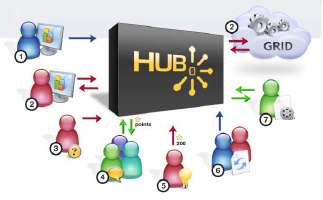 Collaboratory: Building Scientific Communities Online A white paper on how one can build online communities using the HUBzero platform. Just follow the few simple steps to create an account - click on the picture. Go to nciphub.org and click on the "Register Now" button! Fill in the required login, contact and personal information. Read and agree to the terms and conditions, then click "Create Account." Confirm your registration by clicking on the link sent to your email account. See this Account Creation Guide for more information. Access a variety of resources shared by other scientists on the NCIP Hub. You can publish on NCIP Hub by uploading your own content, such as seminar presentations, training material, data, and tools. You will also be able to leverage community expertise by helping build a community of members to support open innovation and promote mechanisms to democratize access to data, tools, and standards across the cancer research community through your own contributions.